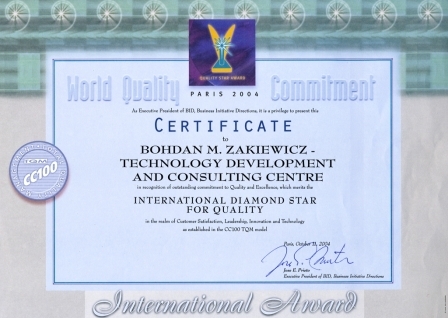 With over 50 years of professional service, Bohdan M. Zakiewicz has been awarded numerous prestigious awards from various countries, as well as International Prizes, Awards, and Decorations for his work. 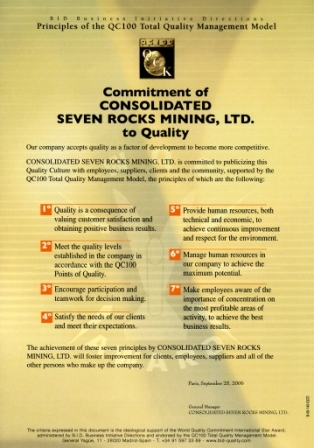 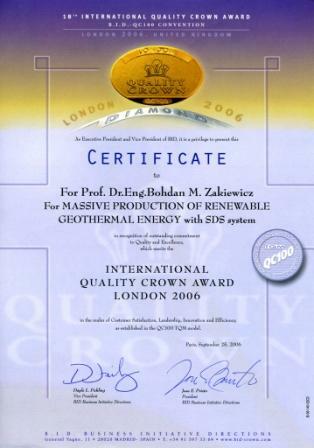 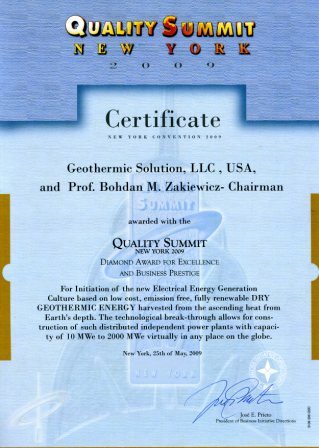 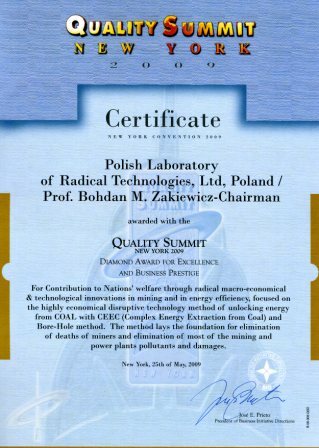 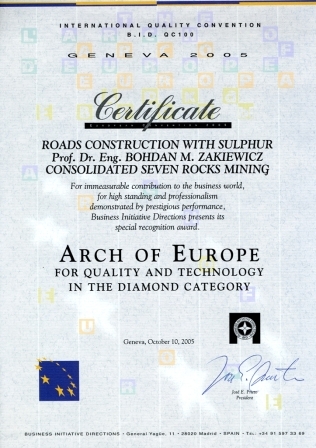 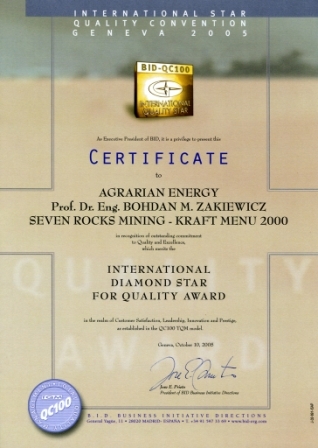 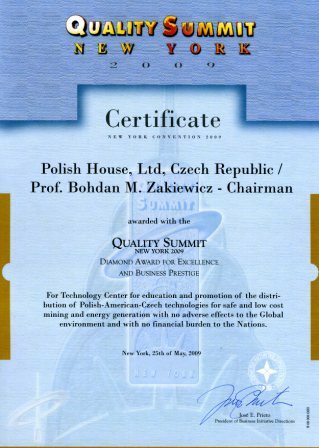 “International DIAMOND STAR of London, 2006, ”for Quality of Technology for “MASSIVE Production of RENEWABLE GEOTHERMAL ENERGY with SDS system”. 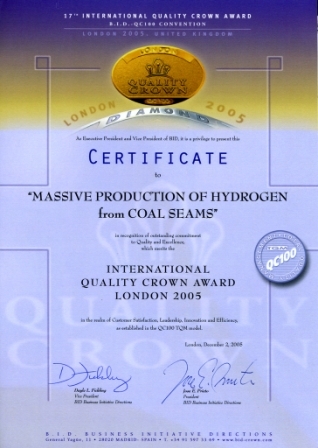 “International DIAMOND STAR of Paris, 2007 ”for Quality of Technology for “MASSIVE PRODUCTION of METHANE with Enhanced, Dragging Usage of CO2 with SDS System”.